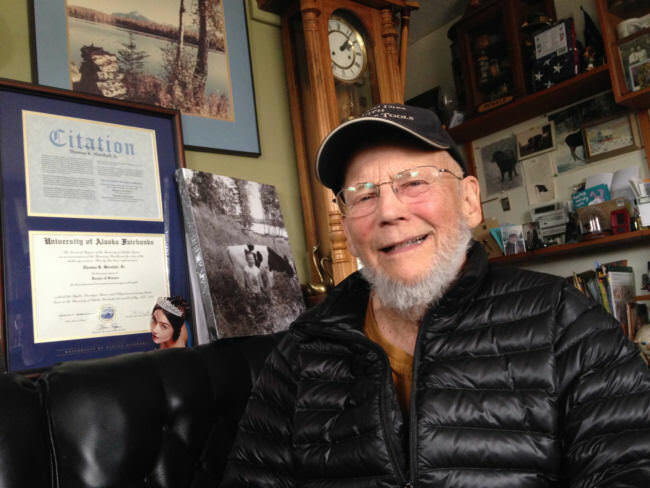 You could argue — and a lot of people do — that Alaska would be a completely different place if it weren’t for a man named Tom Marshall. Marshall earned this award for something he did in the early 1960s, when he worked for the brand new state of Alaska. Back then, the state depended largely on federal dollars and a few resource industries, like salmon fishing. Marshall remembers it as a tense time; with a tiny economy and population, it was a real question whether Alaska could support itself. “There was a great deal of anxiety of just how we were going to accomplish this,” Marshall said. But under the statehood act, Congress handed Alaska something like a scratch off lottery ticket. While the federal government still controlled much of Alaska’s 375 million acres — the state could select over 100 million acres to develop as it pleased. If Alaska picked land with valuable resources, it would have a winning ticket. “This land would put us in a position to pay our bills,” Marshall said. That’s when Marshall, a petroleum geologist, quietly became one of Alaska’s most important employees. He was tasked with picking the land. A ragged chunk of Arctic coast called Prudhoe Bay caught his eye. The geology reminded Marshall of big oil basins he’d seen in Wyoming. Marshall thought this could be the jackpot Alaska needed. But when he suggested selecting a remote chunk of tundra on the icy ocean, Bill Egan, Alaska’s first governor, was not impressed. “Gov. Egan’s comment was, ‘doesn’t he know it’s frozen?’” Marshall said. Still, Marshall kept pressing Gov. Egan to select Prudhoe Bay. And some people thought Marshall was on to something. A handful of oil companies were intrigued with Alaska’s Arctic. The federal government had started leasing land on the North Slope in 1958, and a few companies were laying plans to drill there. It took years and a combination of pressures from the oil companies, Marshall and others, but Egan relented and selected Prudhoe Bay for the state in 1964. “They wrote ‘Marshall’s Folly’ on there,” Marshall said. “Billion-barrel oil fields don’t come along every day. There have been very, very few ever discovered in the United States,” Jamison said. And soon, dreams of a billion-barrel oil field in Alaska’s Arctic started seeming like a long shot. Starting in 1963, BP and Sinclair Oil Corp. teamed up and drilled six wells on federal land near the Brooks Range. All six were dry. After that, a series of other companies came up short, too. Eventually that included Jamison’s company, ARCO. The oil companies that had taken a risk on Alaska’s North Slope started hemorrhaging money. As well after well came up dry, Marshall’s Prudhoe Bay selection started to seem like a mistake. By 1967, Jamison said most oil companies had given up. But then, ARCO and Humble Oil teamed up and moved the only drill rig left on the North Slope to Prudhoe Bay. It was the oil industry’s last shot. A young geologist named Gil Mul was there, working at the well. Mull said for weeks, drilling the well wasn’t all that exciting. “Almost like watching grass grow,” Mull said. Then one day, they tested the well’s pressure. When the crew opened the valve, Mull said there was a powerful burst of gas. “It sounded like a jet plane overhead. It’s shaking the rig. It’s a rumble. It’s a roar,” Mull said. A few months later, the companies drilled a second well to confirm the size of the oil field and discovered it was huge. Initial estimates were that Prudhoe Bay held 9.6 billion barrels of oil – at the time, it was the biggest oil discovery in North America. It’s still the biggest ever found in the U.S.
Alaska’s leaders knew the state would never be the same. Finding Prudhoe Bay came down to a few things going exactly right. If the companies hadn’t decided to drill that one last well, if they hadn’t found enough oil and if Marshall hadn’t pushed the governor to select the land in the first place, there’s no question the state would be very different. Marshall’s not one to brag about his contribution, though. He said he was just doing his job. But that’s not to say Marshall doesn’t get any satisfaction out of it. Asked if it still bothers him that so many people doubted him for so long, Marshall burst out laughing. This story is part of Alaska Energy Desk’s series, Midnight Oil, about the pipeline that shaped Alaska. 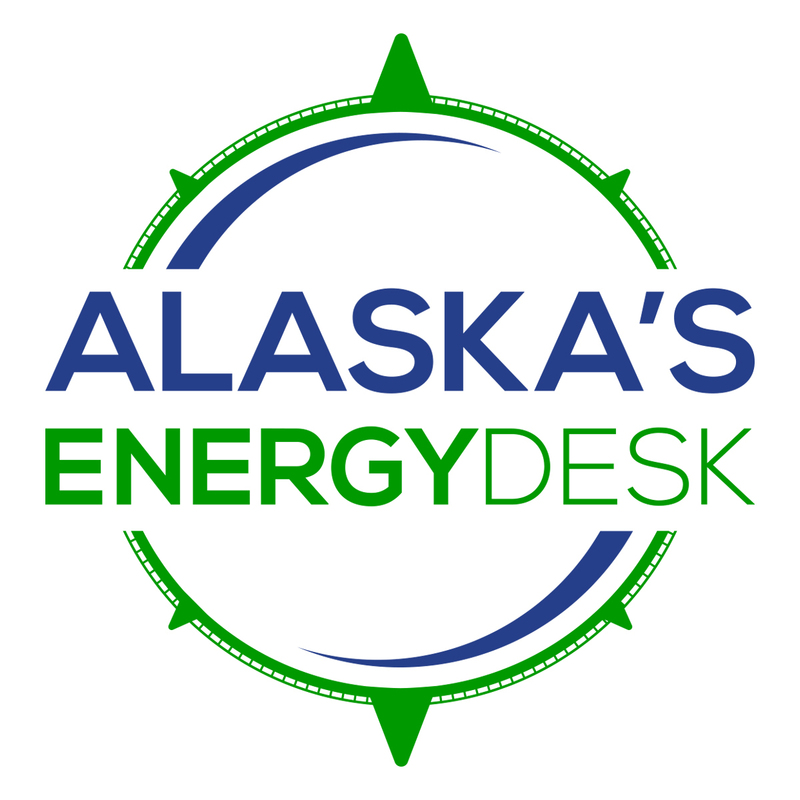 It contained contributions from both Elizabeth Harball and Zoe Sobel with Alaska’s Energy Desk. Next week, the story of how the Alaska Native Claims Settlement Act came to be. Listen on Alaska Public Media or subscribe to the podcast on iTunes or wherever you get your podcasts.